A Donovan Leitch Songbook (300+ songs) lyrics and chords for guitar, ukulele banjo etc. To view the songs, choose A-G, H-K, L-R or S-Z from the navbar above to go to the song titles beginning with that letter. See below for a list of available titles. DONOVAN (BORN DONOVAN PHILIPS LEITCH, 10 May 1946) is a Scottish singer, songwriter and guitarist. Initially labelled an imitator of Bob Dylan, he developed an eclectic and distinctive style that blended folk, jazz, pop, psychedelia, and world music (notably calypso). He has variously lived in Scotland, London, and California, and, since at least 2008, has lived in County Cork, Ireland with his family. 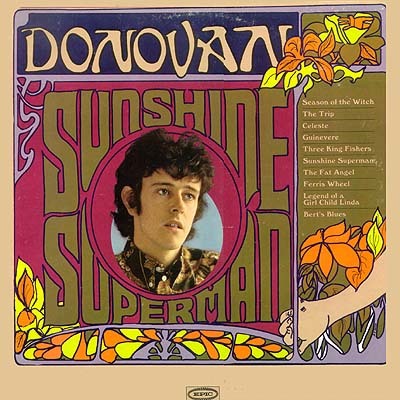 Emerging from the British folk scene, Donovan shot to fame in the United Kingdom in early 1965 with a series of live performances on the pop TV series, Ready Steady Go!. Having initially signed with Pye Records in 1965, he recorded a handful of singles and two albums in the folk music vein, but after signing a new contract with U.S. CBS/Epic Records his popularity spread to other countries. After extricating himself from his original management contract, he began a long and successful collaboration with Mickie Most, one of the leading British independent record producers of the era, scoring a string of hits in the UK, the US and other countries. His most successful singles in the 1960s included the early UK hits "Catch the Wind", "Colours" and "The Universal Soldier" in 1965, while "Sunshine Superman" topped the US Billboard Hot 100 chart (reached number two in Britain), and "Mellow Yellow" reached US number two the following year, with "Hurdy Gurdy Man" reaching the Top 5 on both shores in 1968. He was the first artist to be signed to CBS/Epic Records by then-new Administrative Vice President Clive Davis. Donovan and Most collaborated on a series of hit albums and singles between 1965 and 1970. He became a friend of leading pop musicians including Joan Baez, Brian Jones, and The Beatles. He taught John Lennon a finger-picking guitar style in 1968. 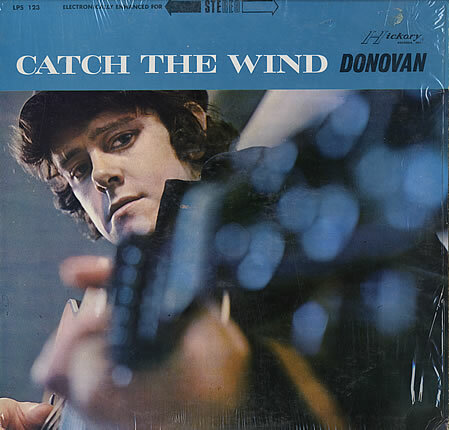 Donovan's commercial fortunes waned after parting with Most in 1969, and he left the industry for a time. Donovan continued to perform and record sporadically in the 1970s and 1980s. His musical style and hippie image was scorned by critics, especially after the advent of punk rock. He withdrew from performing and recording several times during his career, but he underwent a revival in the 1990s with the emergence of the rave scene in Britain. Below is a list of all the songs available in this section, to view the lyrics/chords choose the initial letter of the title from the tool-bar at the top of this page. CRD suffix = chords included.